Canadian Academic English Language Test - Increase your Score! Taking the CAEL? We can Help! The CAEL (Canadian Academic English Language) test is designed to measure your command of Canadian English, at the academic level. Around 185 Canadian universities and colleges considerer the CAEL as proof of English language proficiency at academic level, and accept it for their admission program. 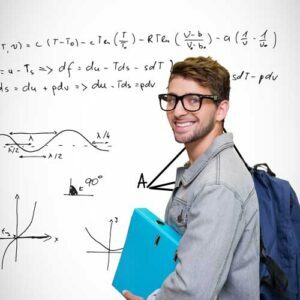 Since this test is used for admission to college and university, the focus is on tasks common in the academic environment, such as reading articles, answering questions, and writing. Also, the test questions and content is drawn from college’s introductory courses, so the questions cover a variety of topics that goes from criminal behavior to arts. This is a huge range, but don’t worry; the correctness of the questions isn’t defined by your domain of the topics, but by your ability to use English in an academic context. 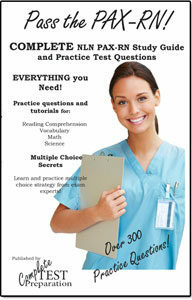 The test has 2 parts: the Written Assessment and the Oral Language Test. Reading Part 1 (25 minutes) and Reading Part2 (30 minutes): the texts are drawn from first-year university textbooks, academic articles, newspaper articles, graphs, charts and official documents. The tasks include identifying main ideas, extracting general and specific information, vocabulary in context, and following a sequence of events. Listening (20 minutes): this section assesses the student’s abilities to understand the spoken language and the recording is played only once. It allows to take notes while listening the audio and the tasks include identifying main ideas, sequencing information and filling in the blanks according to the given information. Writing (45 minutes): this is the last section of the test, and it consists on an essay, using a topic indicated at the beginning of the test and information given in the previous sections of the test. Short oral presentation (2 minutes) of a given topic during the registration process for the test. The CAEL scores are presented in 4 components: Listening, Reading, Writing, and Speaking. The scores are given according to a descriptive statement, being the lowest band level 10 and the highest band level 90. Scores of 70 to 90 indicates that the student meets the minimum English requirements, from 50 to 60 indicates the student meets entry requirements for some universities, and from 10 to 40 indicates that the students doesn’t have the abilities to effectibly communicate in an academic context. The score report is ready about 10 to 15 business days after the test date, and for the international test service it takes up to 20 business days after the test date. The score report can be sent to the 5 universities indicated by the student when registering. The registration process is made online through the CAEL’S website, (https://www.cael.ca/)where you can select the test center, date and the time for the test. 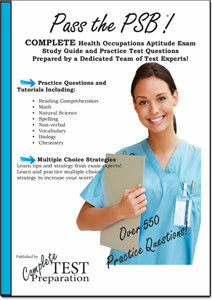 The cost of the test varies according to the province and test center, but generally costs between $200 and $300 CAD. If you can’t attend to the test date or location you have selected, you can request cancellation 9 days before the test date, and you’ll get 50% of refund. It’s possible to retake the test, after a 30 day waiting period. You must re-take the entire test. CAEL Test Strategy! 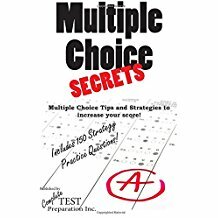 Learn and practice multiple choice strategies! 15 test strategies with practice questions for each strategy! Order PDF Download Version $9.99 No Shipping! No Waiting!